This is a Drawing. 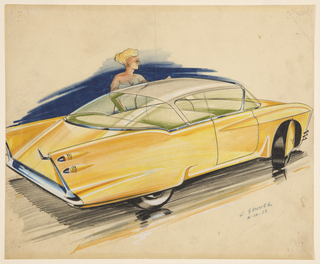 It was designed by Pete Wozena and from the office of General Motors. It is dated 1956 and we acquired it in 2017. Its medium is color pencil, brush and gouache on paper. It is a part of the Drawings, Prints, and Graphic Design department. 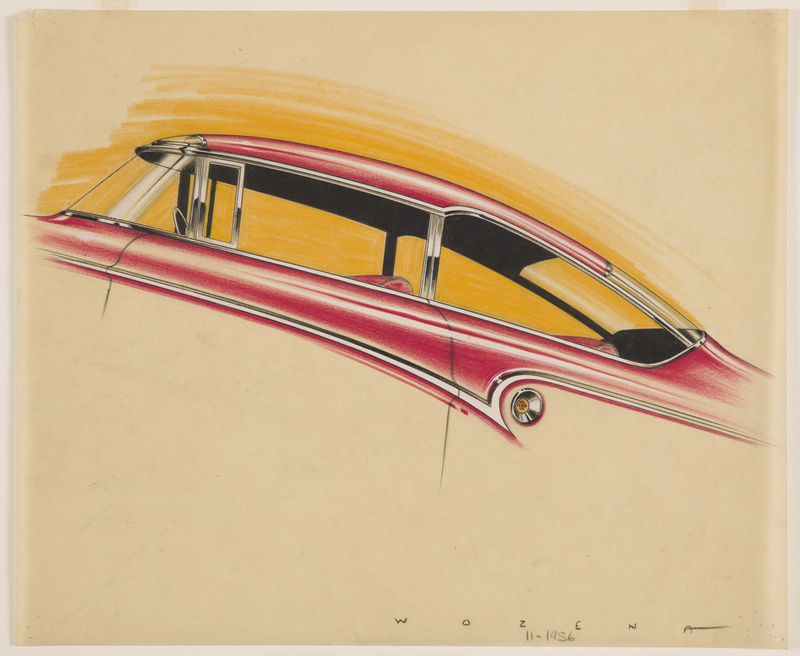 This roofline concept drawing by Pete Wozena demonstrates one of the designer’s many experiments with this distinguishing feature of an automobile’s silhouette. Abundant windows, particularly at the rear windshield, would have allowed for panoramic views, and the gentle downward slope of the fastback design creates a sporty feel. Wozena echoes the roofline form in the sloping design of the detailing on the side of the automobile’s body, producing a cohesive look. 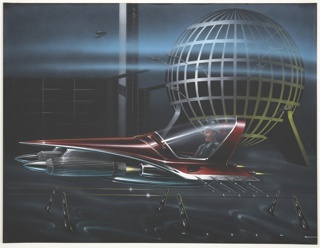 Wozena went on to design the popular roofline of 1964–72 Vista-Cruiser Buick and Oldsmobile station wagons. color pencil, graphite on paper.